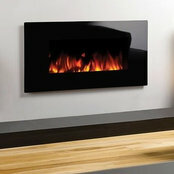 Supply and or install of Gas Fireplaces, Wood Fireplaces, Ethanol Fireplaces, Electric Fireplaces. Wood to Gas Fireplace Conversions, Gas to wood Fireplace conversions, Wood to Ethanol fireplace conversions. Not only do we build incredible custom indoor fireplaces but also create amazing outdoor cooking and BBQ areas which transform your outdoor space into a social magnet of a mixing pot.